David Coverdale’s successful run with Whitesnake produced a legitimate string of twelve studio albums. Of those, Slide It In (1984), its 8-million units followup, the self-titled Whitesnake(1987), and Slip Of The Tongue (1989) were the most fan-explored classics. Following up the splendid Saints & Sinners album was no easy task, but 1984’s Slide It In turned out to be an even greater triumph for David Coverdale’s Whitesnake. From the boisterous machismo of “Spit It Out” and “All or Nothing” to the resigned despair of “Gambler” and “Standing in the Shadow,” and the embarrassingly silly title track, everything seems to click. For hit singles, look no further than the twin guitar attack of “Guilty of Love” and the sheer poetry and emotion of “Love Ain’t No Stranger,” one of the decade’s greatest power ballads, bar none. Not to be outdone, “Slow an’ Easy” is a masterpiece of sexual tension and the kind of power-blues which no one does as well as Whitesnake. On a quirky historical note, Coverdale fired most of the band soon after the album’s release, replacing them with younger, prettier faces with which to better conquer America. For that purpose, Geffen Records even released a re-recorded version of Slide It In with flashy soloing from new guitarist John Sykes, sparking an ongoing debate as to which version is better. On March 22nd, Rhino Records will reissue “Slide It In” as a 35th Anniversary Edition complete with a brand new 2019 remaster represented in an expansive 6CD/DVD Ultimate Edition, as well as a 2CD Deluxe Edition with both US and UK mixes, with a selection of bonus tracks, and a single CD (US Mix) for the album only, along with a 2LP vinyl edition. The 6CD/DVD Ultimate Edition will provide both the US and UK mixes of the album along with unreleased live and studio recordings. The DVD will include promo videos, concert footage, and an interview with David Coverdale. The bonus CDs will include unreleased versions of every song on the original album, monitor mixes, and brand new 35th anniversary remixes. One of the six CDs will include 30 bonus tracks of demos and early mixes of Slide It In. One of the CDs will include an entire 1984 Glasgow concert performance and will include a few live Sweden performance tracks with Jon Lord’s final show with the band. This 6CD/DVD Box will include a 60-page hardbound book filled with photos, essays, notes, and credits. Two weeks ago, hot on the heels of releasing their new double album, Let It Wander, Circles Around The Sun cancelled their 5-date Northeast tour due to an “urgent health matter”. Now, the question of who’s health was in question and why Circles Around The Sun had to cancel their tour seems to have been answered. You’re watching the official music video for Circles Around The Sun – ‘One For Chuck’ from their new album ‘Let It Wander’. ‘Let It Wander’ is the second album from Circles Around the Sun, but the quartet agrees that in many ways it feels more like their first. Three years ago, guitarist Neal Casal formed the band with keyboardist Adam MacDougall (his bandmate in the Chris Robinson Brotherhood), bassist Dan Horne and drummer Mark Levy to record some Grateful Dead-influenced instrumentals to be played during the set breaks at the Dead’s “Fare Thee Well” concerts. “That was supposed to be the end of it,” Casal says. It took nearly three years, but Circles Around the Sun – usually shortened to CATS. “One For Chuck” from the full-length album ‘Let It Wander’, out August 17th, 2018 on Rhino Records. 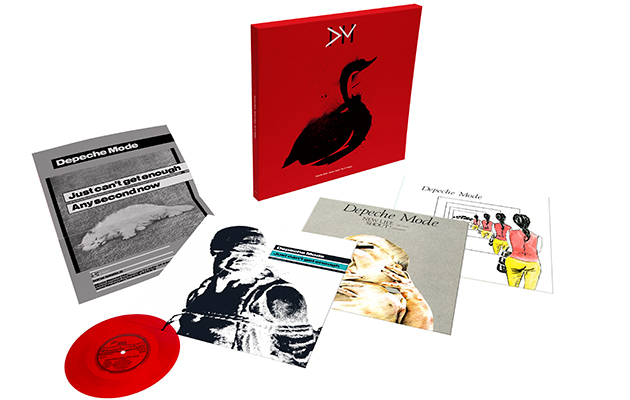 Later this month, Depeche Mode will launch a series of box sets collecting the band’s 12-inch singles. On August 31st, the first two boxes, Speak & Spell and A Broken Frame, will be released. All audio in this series has been newly remastered from the original tapes and cut at Abbey Road Studios. The first box, Speak & Spell: The 12″ Singles, collects all of the singles around the era of the British electronic band’s 1981 debut Speak & Spell. It kicks off with a replica of the rare flexidisc containing “Sometimes I Wish I Was Dead” b/w Mute Records labelmate Fad Gadget’s “King of the Flies,” and continues with three 12-inch singles headlined by “Dreaming of Me,” “New Life,” and “Just Can’t Get Enough.” The original single versions of both “New Life” and “Just Can’t Get Enough” reached impressive peaks in the U.K. at No. 11 and No. 8, respectively. Despite their success, however, Speak & Spell proved to be Depeche Mode’s only album with founding member Vince Clarke. 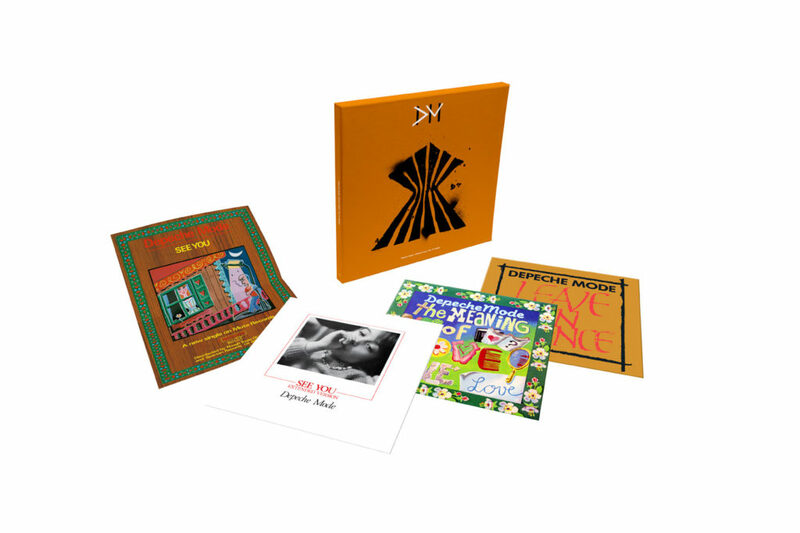 The second box set, A Broken Frame: The 12″ Singles, addressed the period of the band’s 1981 sophomore album, their first to feature Martin Gore. This box has three 12-inch singles, with the A-sides “See You (Extended Version),” “The Meaning of Love (Fairly Odd Mix),” and “Leave in Silence (Longer).” All three songs placed in the U.K. top 20, with “See You” reaching the top ten. 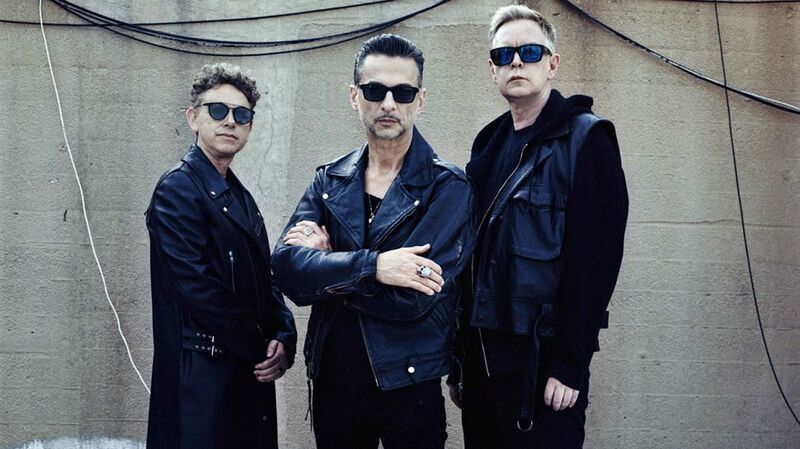 Depeche Mode commented in the press release, “Our 12-inch singles have always been incredibly important to the band. It’s great to be able to re-share these songs with old and new fans in the way they were originally intended to be experienced. We hope you enjoy them as much as we do.” The cover of each box set features street art iconography inspired by the original albums, while the sleeves of the actual 12-inch singles are replicas of the originals. Look for the first two box sets from Rhino and Mute Records on August 31st! You’ll find full track listings and pre-order links below! The tendency of musicians to reflect on previous artistic hits as they age is a natural response to the sense that there is less time ahead of them than behind. Perhaps why a similar sense of mortality that has spurred Neil Young to catalog his life on an exhaustively researched website has caught up with Emmylou Harris. 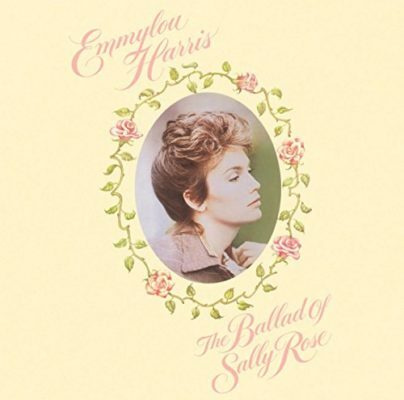 It would explain why we get an expanded reissue of The Ballad of Sally Rose, one of her least commercially popular efforts, but now 33 years old and ripe for rediscovery. The ballad-heavy set clocks in at just over 35 minutes yet is never rushed in telling its not-so-fictional tale of Sally Rose, a fledgling singer taken under an unnamed high profile act’s wing who becomes a star herself after his highway related death (“Bad News”). In the story she ends up buying a radio station (“K-S-O-S”) though, something Harris never did. The project was clearly a labour of love for Emmylou who invited friends Linda Ronstadt, Dolly Parton and Vince Gill along with her Hot Band members Hank DeVito and Albert Lee to assist. None of this has aged a day and tracks like “Sweetheart of the Rodeo” and the gorgeous gospel-infused “Sweet Chariot” remain as pertinent and touching as when they were written. Closing track from the underappreciated album, The Ballad of Sally Rose, and her tribute to the great Gram Parsons. Even though … Sally Rose was an artistic success and nominated for a Grammy, it was a commercial disappointment, despite, or more likely because of, it’s unusually personal approach. It also didn’t spawn any hit singles. Rhino and Harris reassess this somewhat forgotten gem by remastering the original album and adding a second disc of previously unreleased, (mostly) unplugged demos, all rawer than the polished recording and worth hearing. Following expansions of The Cars’ Candy-O and Panorama, the classic New Wave group (one of this year’s Rock and Roll Hall of Fame inductees) will expand two more in their classic discography in the spring. Rhino Records will release 1981’s Shake It Up and 1984’s Heartbeat City with rare and previously unreleased bonus tracks on March 30th. CD and double LP editions will be available, and will utilize the 2016 remasters overseen by co-lead singer Ric Ocasek as well as art direction overseen by drummer David Robinson. (For the box set The Elektra Years, Heartbeat City changed from a burgundy cover to white, in accordance with the group’s original vision; that design choice repeats here.) Ocasek and Robinson have also sat for new interviews for David Fricke’s liner notes for each title. A total of 15 bonus tracks appear between both packages, from B-sides (“Breakaway,” from the Heartbeat City period), dance mixes (among the band’s only ones: the Top 20 hit “Hello Again”), a cover of The Nightcrawlers’ “The Little Black Egg” (the backing track of which was used for Bebe Buell’s covers EP) and the two exclusive tracks from the band’s seminal 1985 greatest hits set: the Top 10 smash “Tonight She Comes” and a remix of Shake It Up‘s “I’m Not the One.” Gems from the vault include early versions and demos of “Shake It Up,” “Since You’re Gone,” “Drive,” “Heartbeat City” and “Coming Up You,” later released on the group’s 1987 effort Door to Door. Shake It Up and Heartbeat City continued the Boston quintet’s dominant turn from New Wave masters to pop-rock hitmakers. These albums, respectively produced by Roy Thomas Baker (his fourth consecutive collaboration with the group) and ascendant pop-rock craftsman Robert John “Mutt” Lange, contain The Cars’ biggest hits, including their first Top 10 track, “Shake It Up”; the power-pop gem “Since You’re Gone,” and bestsellers like “You Might Think” (remembered for its cutting-edge-at-the-time MTV video), “Magic” and the simmering ballad “Drive,” sung by the band’s late bassist Benjamin Orr and the band’s biggest hit. In March, Rhino will reissue Marillion‘s 1994 album “Brave” as a 4CD+Blu-ray deluxe edition and a 5LP vinyl set. 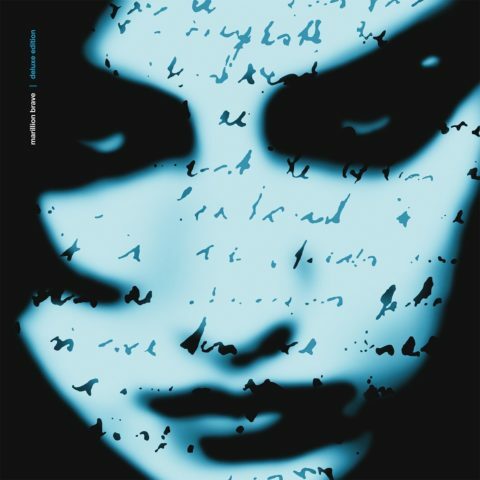 Following the release of last year’s remixed expansion of Misplaced Childhood, neo-prog rockers Marillion are jumping ahead to one of their top albums of the 1990s to reissue: 1994’s Brave, this was their seventh album. The blu-ray contains 96/24 audio of Steven Wilson’s remix of the album in stereo and 5.1 surround sound, as well as promo videos for the album’s singles and a new documentary about the album that includes concert footage and interviews with the band. The 5LP vinyl box contains the Steven Wilson stereo mix on the first two records and the live performance on the remaining three LPs. Originally released as disc four of Rhino’s 2009 box set “Keep an Eye on the Sky”, “Live at Lafayette’s Music Room” captures performances Big Star gave in January 1973 at Lafayette’s Music Room in their hometown of Memphis, Tennessee. This is the same site that hosted the band’s legendary show during the May 1973 Memphis Rock Writer’s Convention — a gig that was instrumental in building buzz for Big Star — so this comes tantalizingly close to replicating how Big Star may have sounded on that storied date. During this first half of 1973, Big Star were a band in transition, getting their sea legs after the departure of Chris Bell. His presence hangs heavy, with Alex Chilton singing songs Bell sang on No#1 Record and his DNA evident on such newer songs as “Back of a Car” and “O My Soul,” but it’s also evident how Big Star are turning into a rangier, rougher outfit under the undisputed leadership of Alex Chilton. The band feels tougher and funkier, particularly on the clutch of covers that conclude the album: Gram Parsons’ bruised country-rock classic “Hot Burrito #2” becomes a swaggering Stonesy rocker; a version of T. Rex’s “Baby Strange” seems like the blueprint for the Replacements, and the band drills down to the essential sleaze of Todd Rundgren’s “Sleaze.” This rawness, so absent on Big Star’s two finished studio albums, is the reason why Live at Lafayette’s Music Room is worth hearing even for non-fanatics: It proves that this power pop group was also a rock & roll band. Live At Lafayette’s Music Room-Memphis, out on (Omnivore Recordings) . It cemented them into legendary status due to the writers who witnessed it and carried the message of Big Star out in their writing, even though the band had only released one album, No#1 Record, and were unsure of recording a second after the departure of co-founder Chris Bell. What may not be so widely known is that the trio played the same venue four months earlier with the same power and passion opening shows for the Houston R&B band, Archie Bell & The Drells. What album replaced Fleetwood Mac’s Rumours on top of the Album Charts after its 29-week stay? 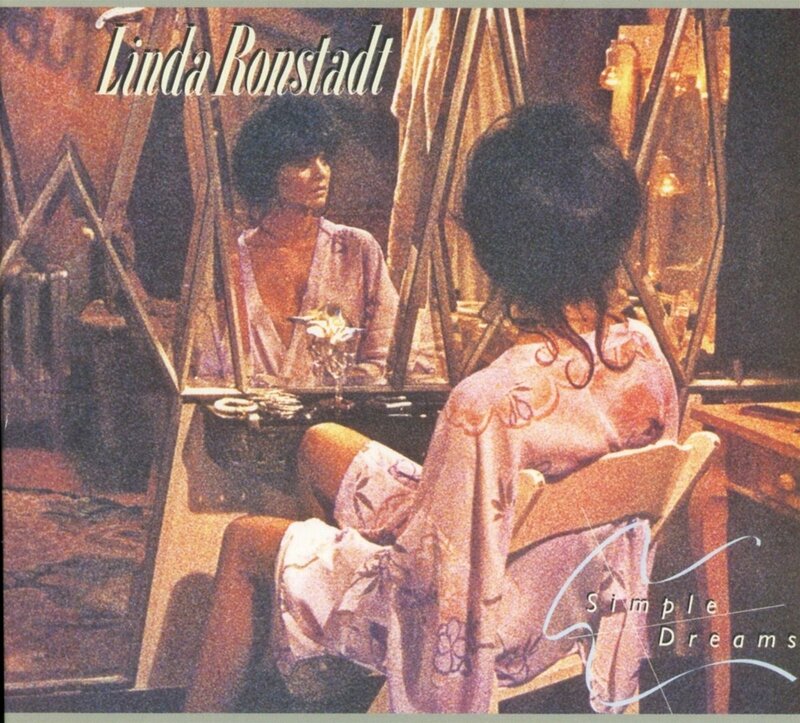 The answer: Linda Ronstadt’s Simple Dreams. it was Ronstadt’s eighth studio album, it became one of her most successful and most beloved. Now, on the occasion of its 40th anniversary, the Grammy Award-winning Simple Dreams is receiving an expanded edition from Rhino Records. It’s due on CD, vinyl LP, DD, on September 22nd. The multi-platinum smash was Linda Ronstadt’s fifth consecutive release to cross the one-million sales threshold in the United States, also reaching the chart zenith in Canada and Australia (not to mention the top 20 in the United Kingdom, the Netherlands, France, and New Zealand). In addition to displacing Rumours, it also displaced Elvis Presley from the top of the Country Albums chart, a true display of its cross-genre appeal. Produced by Peter Asher, the album’s formula was simple: apply one of the greatest and most distinctive voices of a generation to some of its greatest songs. Two of those classic songs – Roy Orbison and Joe Melson’s “Blue Bayou” and Buddy Holly and Norman Petty’s “It’s So Easy” both took a place within the U.S. top five, making Ronstadt the first artist since The Beatles to hold two spots within the top five at the same time. A third hit, Warren Zevon’s “Poor, Poor Pitiful Me,” also emerged from the LP, barely missing the top 30 at No. 31. Zevon’s “Carmelita” was also featured on the album alongside songs by The Rolling Stones (“Tumbling Dice”), J.D. Souther (“Simple Man, Simple Dream”) and Eric Kaz (“Sorrow Lives Here”). The newly remastered Simple Dreams will include three bonus tracks, all derived from a concert which aired on HBO in 1980. These live versions of the album’s three big hits “It’s So Easy,” “Blue Bayou,” and “Poor, Poor Pitiful Me” are all previously unreleased in standalone audio format. On the vinyl version, these three bonus tracks will be included on a special 7-inch EP. You can pre-order the expanded 40th anniversary edition of Simple Dreams at the links below; it’s due on September 22 from Rhino Records. Linda Ronstadt, Simple Dreams (Asylum Records). 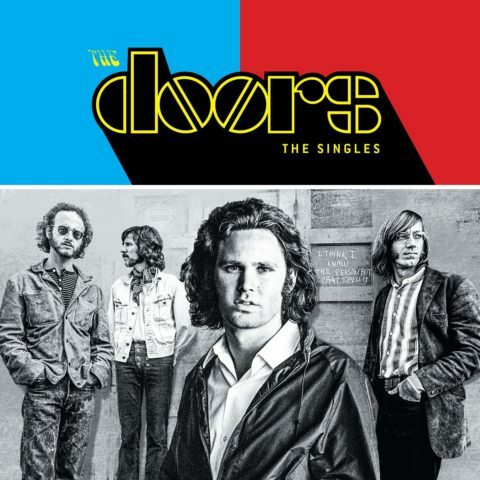 Rhino Records will release The Singles, in a new compilation that collects all 20 U.S. singles released by The Doors , and their corresponding B-sides. It will be available as a 2CD+blu-ray package, a 2CD set without the blu-ray and a seven-inch box set will also be made available. The 44-track collection includes the rare, original single versions of such classics as, Love Me Two Times, Love Her Madly, Riders On The Storm and many more. 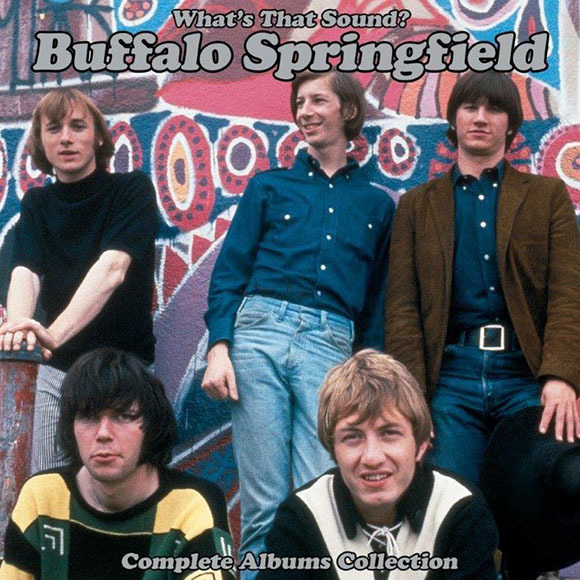 With collectors in mind, the CDs will also feature four original mono radio versions of some of the hits. These have never been made available anywhere after being sent to radio stations at the time of their original release. All tracks have been mastered from the original analog single masters by the band’s longtime engineer Bruce Botnick. 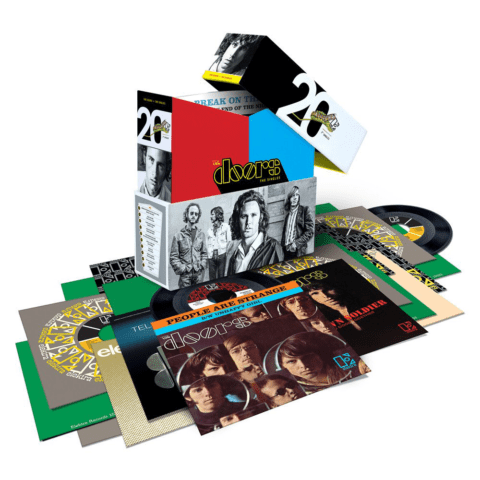 The Blu-ray disc that accompanies the ‘deluxe’ three-disc version features the original hi-res Quadraphonic mix of 1973 compilation The Best Of The Doors. This 11-song compilation was released on SACD by Audio Fidelity in 2015, but this is the first time it has been available on Blu-ray audio. In addition to the above, a 20-disc seven-inch box set of The Singles (‘limited’ to 10,000 copies) is being issued .